The club are immensely proud that Joe has been recognised by his peers and are delighted he'll be at the awards ceremony to collect his accolade. 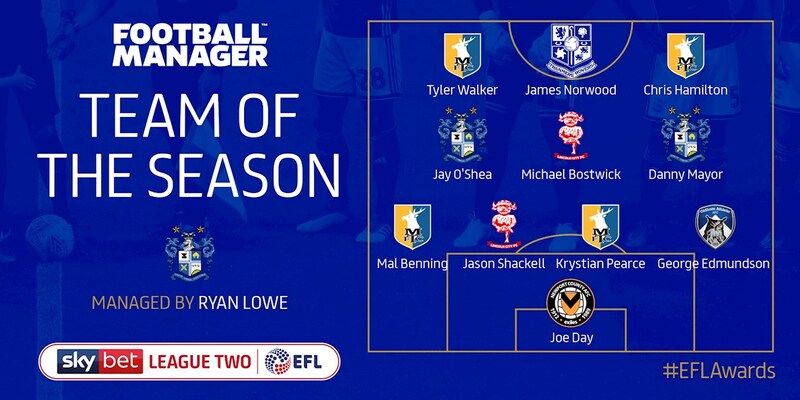 This is testament to the season he has had, showing his consistency and experience playing every minute of all the 37 #SkyBetLeagueTwo games of the 2018/19 campaign so far. Keeping twelve clean sheets in all competitions this season, County's current longest-serving player has had a season to remember. As well as enjoying a memorable season on the pitch, Joe and his wife Lizzie also welcomed twins following the victory over Middlesbrough FC. From everyone at the club, congratulations Joe!